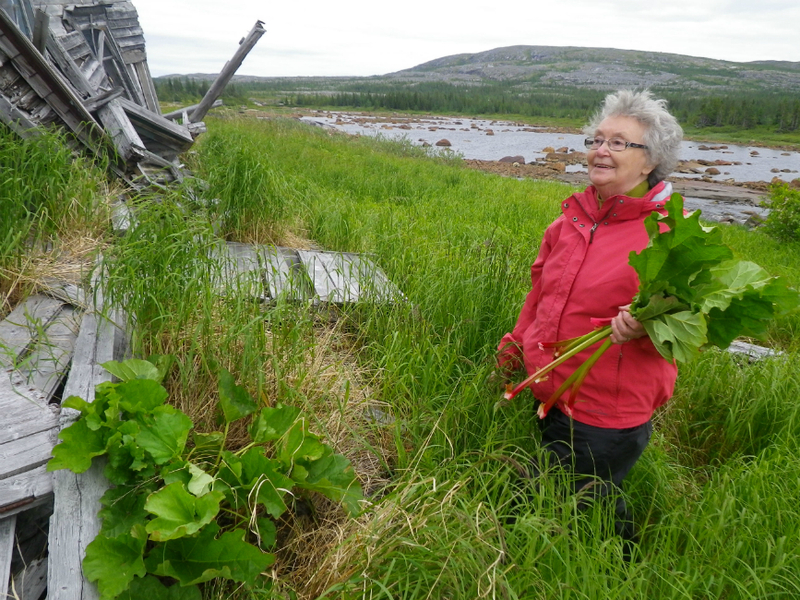 Nestled between the Labrador Sea and the Moravian Woods, the Inuit Community of Makkovik is a community where day-to-day life is rich in plants. The spruce, fir and juniper forests around Makkovik shelter partridge and furbearers, shade rivers of trout and salmon, and keep homes heated through the winters. Redberries, blackberries and blueberries grow on offshore islands and rocky outcrops, bakeapples and marshberries ripen in marshlands, and saltwater peas and tulligunnak thrive at the salty shoreline edge. Elder Annie Evans and Elder Nellie Winters have been sharing their knowledge of plants for most of their lives. In Makkovik, they’ve raised their children and grandchildren to recognise the plants of their homes, to work with these plants, and to care for them. Aunt Annie and Aunt Nellie contribute their time and knowledge to plant education programs for youth in Makkovik, and advise the in-development Makkovik Plant Book, a Tradition + Transition funded project that focuses on bringing together Makkovimiut plant knowledge into a community book. This November, Aunt Annie and Aunt Nellie will travel over 5000 km at the special invitation of the Hualapai Department of Cultural Resources to continue teaching others about the importance of plants in Makkovik. 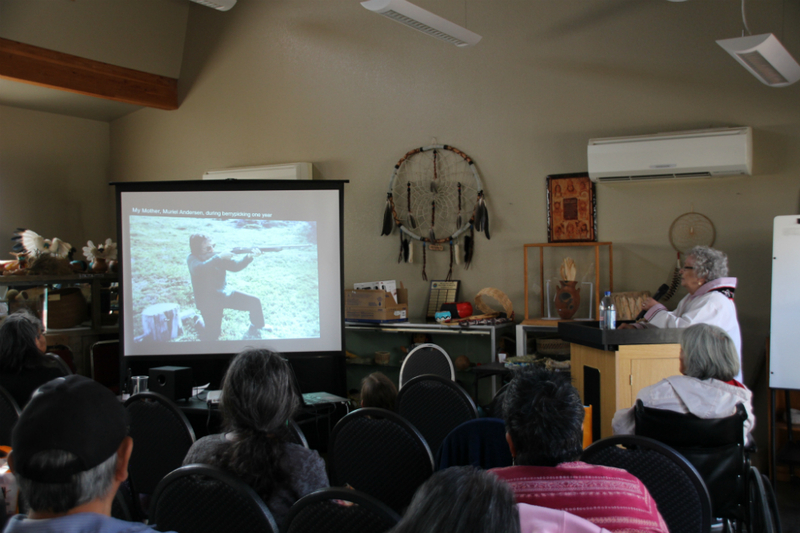 As invited guest speakers at the Native Foods Symposium hosted by the Hualapai Tribe, in northern Arizona, they have been asked by organizer and ethnobotanist Carrie Calisay Cannon to share their knowledge of Labrador plants and wild food harvesting practices with fellow practitioners. Some of the topics Aunt Annie and Aunt Nellie plan to discuss include seasonal plant harvesting, storage, preparation and tools, respectful harvesting traditions, plants in art, and cultural traditions around sharing harvests. 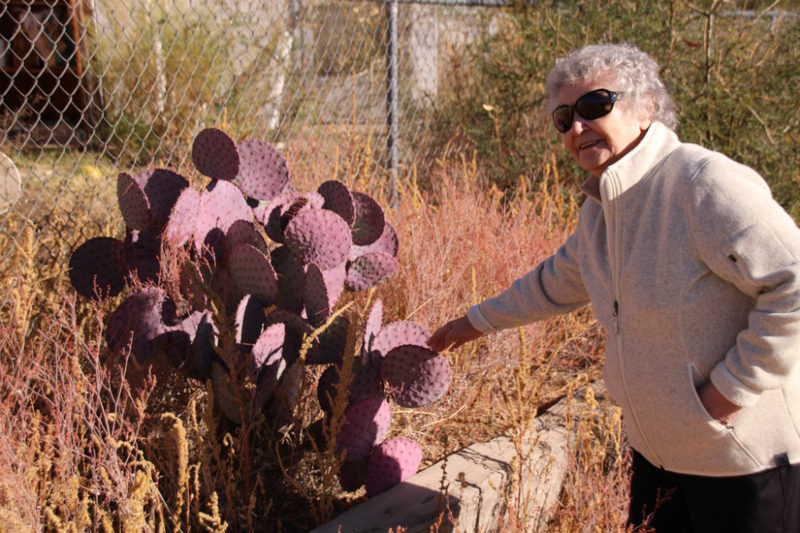 In turn, Aunt Nellie and Aunt Annie will be learning about the extensive work of the Hualapai Ethnobotany Youth Project, now in its 12th year of connecting Elders and youth through land-based plant knowledge programs. The Hualapai refer to themselves as “The People of the Tall Pines”. 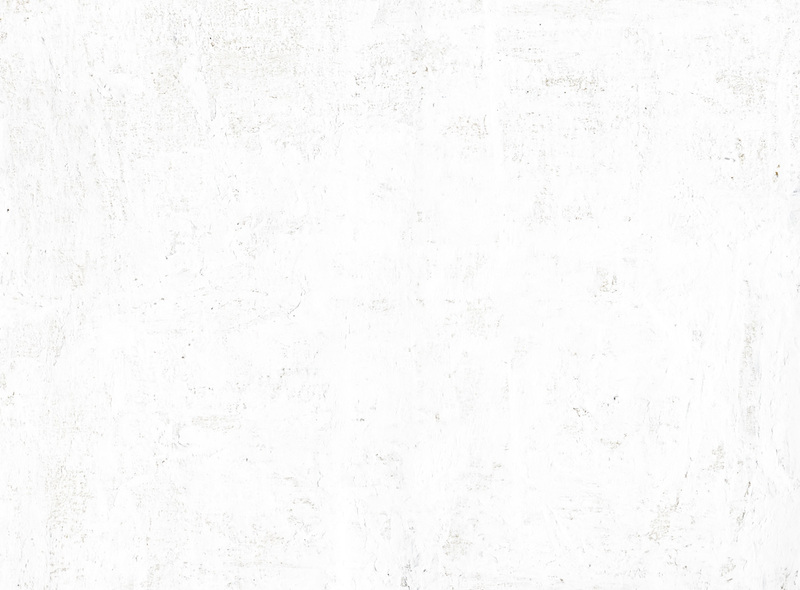 In the Hualapai language, Hwal means ponderosa pine, and Pai means people. The name Hualapai speaks to the deep relationship between the Hualapai Tribe and the ponderosa pines of the region. Though geographically distant, the Hualapai homelands and Nunatsiavut are connected through the importance of plants in the lives of their peoples. 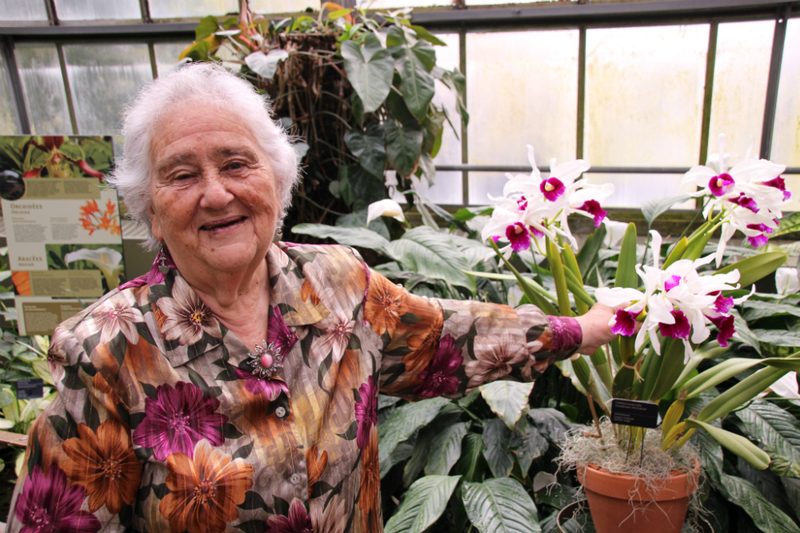 Aunt Nellie points out that a love for plants is something all people share, no matter where we come from: “We’re all fond of plants, especially as we get older. Everywhere people are fond of plants.” A shared love for plants is a good place to start in nurturing new relationships between people. Making new connections through a shared love for plants is something Aunt Nellie, Aunt Annie, and other Makkovimiut have been busy with this year. 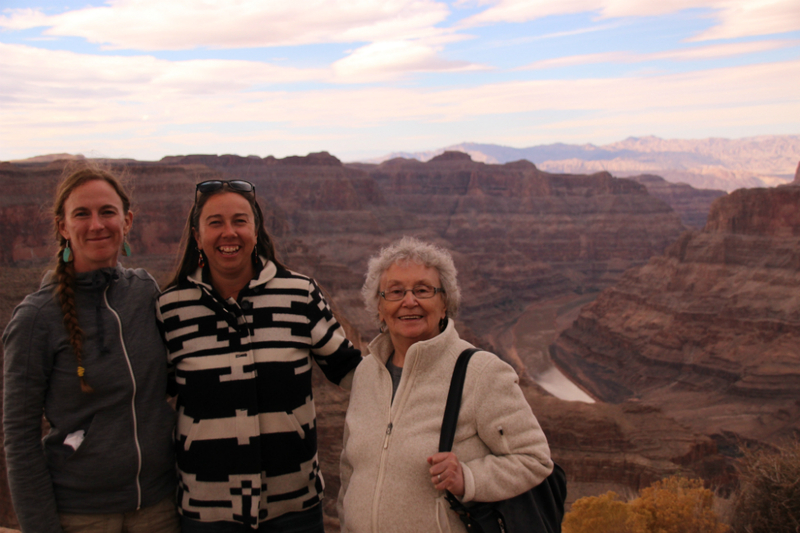 In May, Aunt Annie and Aunt Nellie were invited to present Elder Talks at the opening of the 40th Annual Conference of the Society of Ethnobiology, in Montreal. Aunt Nellie spoke about community life in her birthplace of Okak Bay, and the effects of the relocation of Okak Bay, Nutak and Hebron on people’s relationship with the land and each other. These Elder talks are now being prepared for the journal Ethnobiology Letters at the invitation of the editors. Aunt Nellie and Carol Gear, Community Liaison Officer in Makkovik, have co-authored an article on the connections between plants and fishing in Makkovik for a special issue of the Journal of Ethnobiology, with illustrations by Aunt Nellie. Todd Broomfield of Makkovik was recently interviewed by Canadian Geographic for his expert knowledge of plants as indicators of long-term human presence in the areas around Makkovik. Individually and collectively, these efforts to tell the stories of Makkovimiut and plants are introducing new audiences to the depth of people-plant relationships in Makkovik. 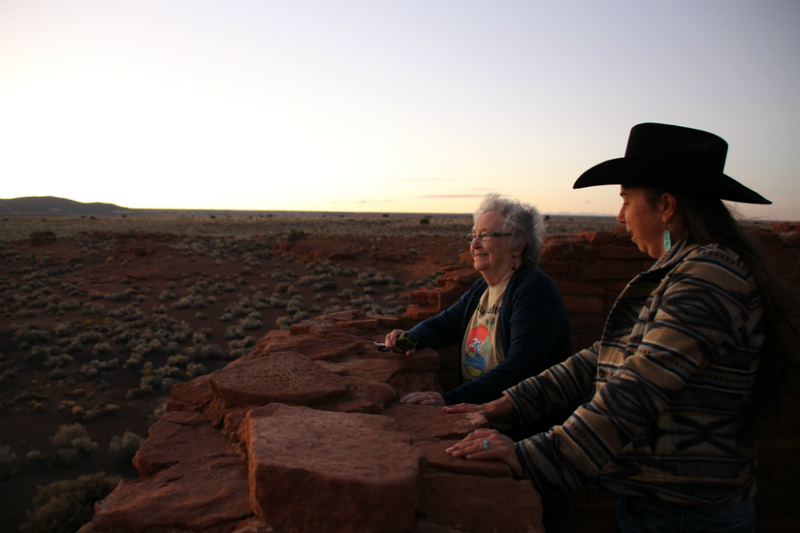 It’s a long way to travel for Aunt Annie and Aunt Nellie to teach at the Hualapai Native Foods Symposium - but not all of their lessons are taught on arrival. As Aunt Nellie said in advance of the conference in Montreal, part of her reason to attend was to show her grandchildren, “All through life you have to keep trying new things, never stop learning.” Through their plant knowledge and their determination to share it, Aunt Annie and Aunt Nellie demonstrate why Elders are teachers through their words and through their actions.